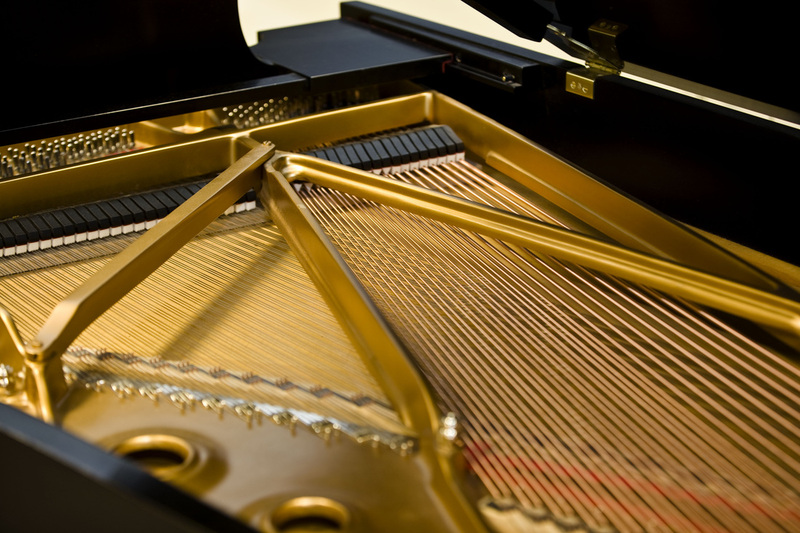 Controlling the humidity near your piano can greatly increase the stability and lifespan of the instrument. Pianos with proper humidity control stay in tune longer, and resist serious conditions like soundboard cracking. 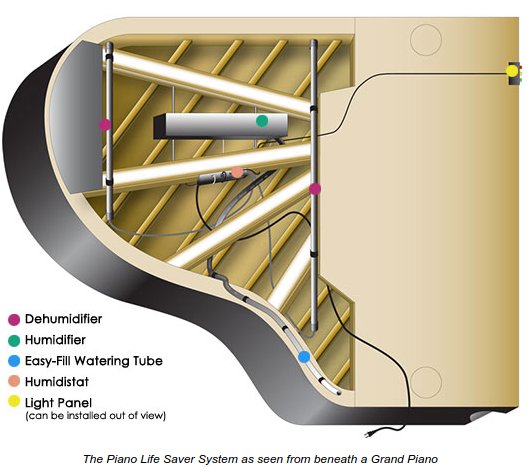 Humidity control can be achieved by installing a humidity control system in your piano. I offer the Piano Life Saver System, which is installed underneath your piano's soundboard. This system is able to add humidity (moisten the air) and remove humidity (dry the air) as required to maintain the proper humidity for your instrument.